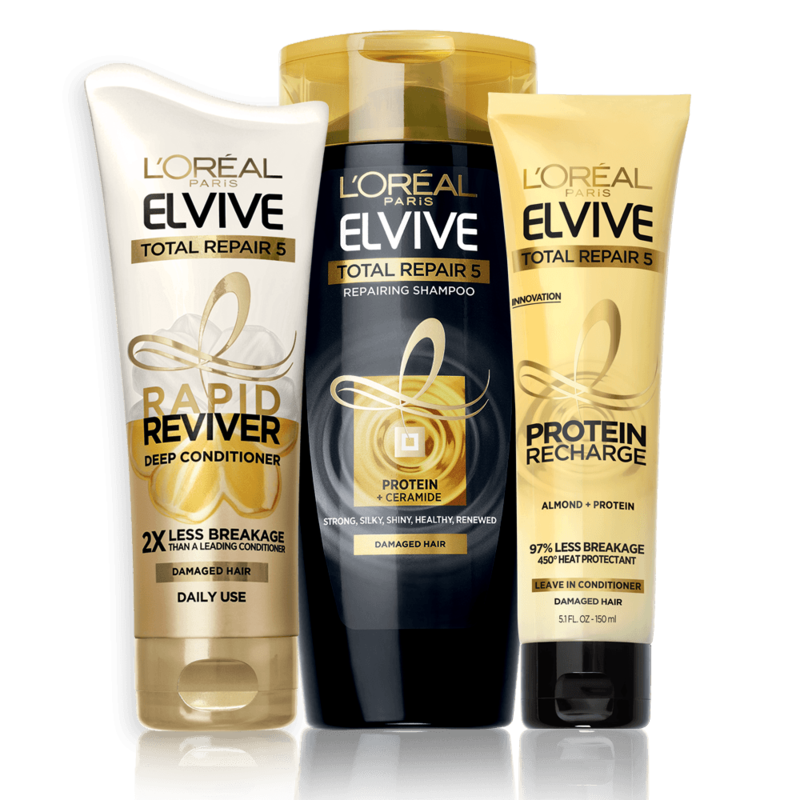 I started using L’Oreal Elvive Total Repair 5 products two weeks ago and have already seen a drastic change in my hairs health. It’s taken 2 years to finally get my hair back to where it was pre-baby. My hair became dry, brittle and lifeless weeks after my daughter was born and I couldn’t get rid of the dreaded post-partum hair. On top of it completely drying out, it was falling out in gobs. I overused styling tools to try and hide the regrowth around my hairline and ultimately fried my hair. Print this coupon and try L’Oreal Elvive shampoo and the other Elvive total repair 5 products out for yourself. Elvive Total Repair 5 revives all types of damaged hair. Let it tackle your split ends, weak locks, rough new growth, dull and dehydrated hair. The products work to rebuild, strengthen, add vitality, silkiness, and shine to your hair from roots to ends. There is a product that is dedicated to each specific hair type. Choose from products that focus on your needs, curly, volumizing, color vibrancy, smoothing or moisturizing. Enter the L’Oreal #StopWaiting sweepstakes for a chance to win a trip to Paris. 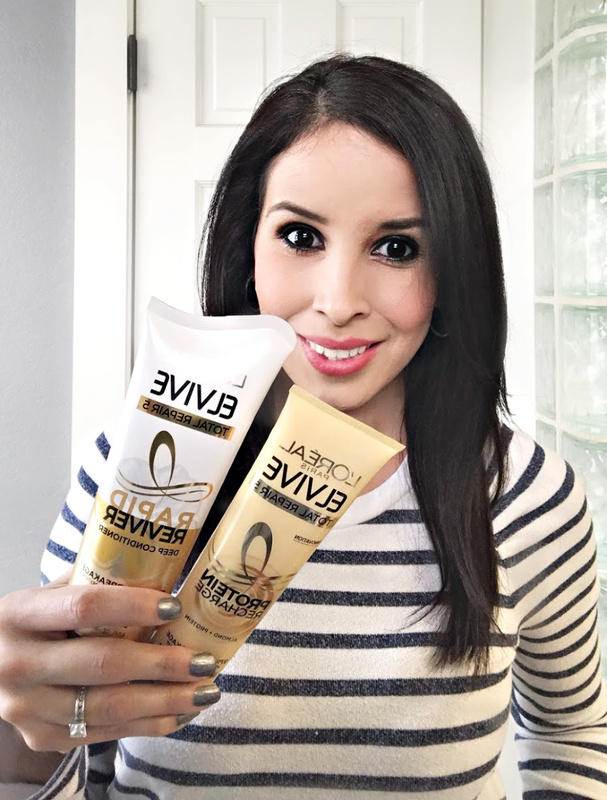 While I love all the Elvive total repair 5 products that I have tried, I simply can not live without these two superstar products. This deep conditioner leaves my hair feeling silky soft. 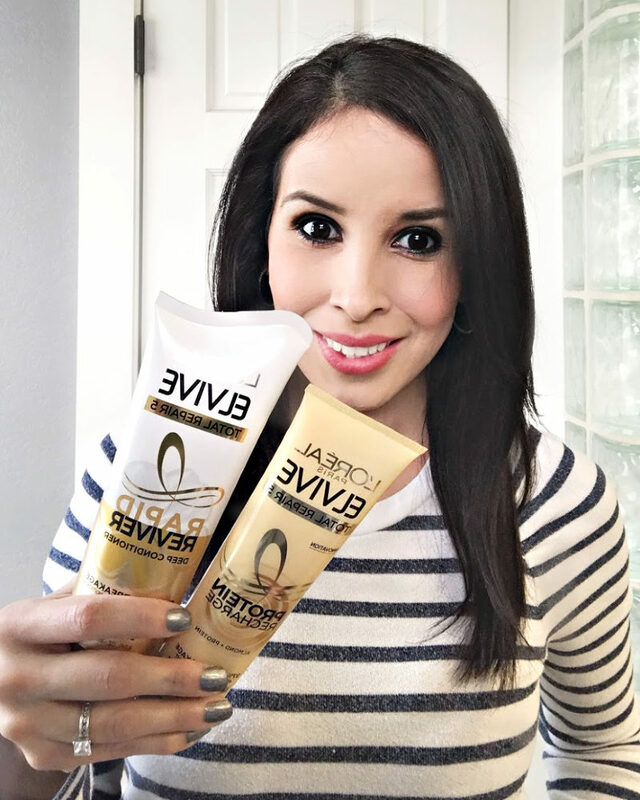 Unlike other conditioners that seem to “wash out” when I rinse, the rapid reviver leaves that smooth detangled feeling even after I’ve dried my hair. I’ve tried so many products looking for something that would allow me to air dry my hair and not leave it looking frizzed and untamed. With Rapid Reviver I can finally leave my normally unruly hair down and it is left looking and feeling manageable. Finding a good heat protector is hard. I dislike heavy products and anything greasy. 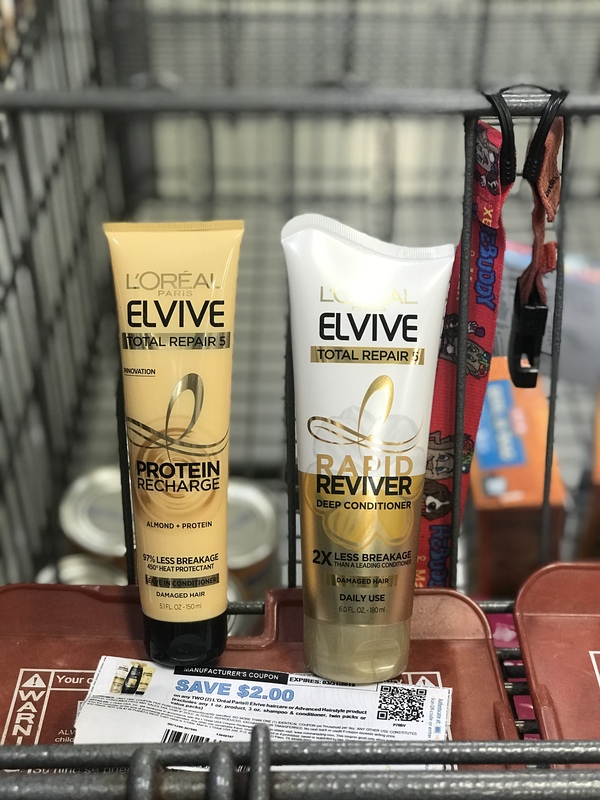 Elvive Total Repair 5 Protein Recharge Treatment is a Protein Recharge leave-in conditioner and heat protectant. It works like a cream and feels light when applied. I have some split ends and dry damaged hair, when I use this product along with blowdrying or flat ironing, it looks and feels healthy. The Protein Recharge helps prevent the 5 signs of damaged hair. Have you tried Elvive total repair 5 products? Save $2 on any two products with this coupon. I really need to try Elvive total repair 5 products as my hair is a little bit lacklustre since I had my 2 kids. Split ends are a massive problem and it sounds like I need this to give my hair some TLC. I actually use this shampoo and conditioner! Thanks for the great deal!